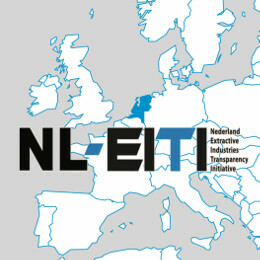 The Netherlands joined the Extractive Industries Transparency Initiative (EITI) as a candidate-member on the 28th of June. The Netherlands has become the fourth European country that gained this status. Open State Foundation playes an active role in EITI-Netherlands via membership of the multi-stakeholder group of government, industry and civil society organizations. EITI is a worldwide standard for the transparant governance of oil, gas, minerals and other extractives. The Netherlands has until 2019 to comply with the requirements of EITI-membership and deliver the first EITI-report. The goal of the Dutch EITI-membership is to provide understandable and verified information about finances of the extractives-industry (mainly oil and gas) and the government. The application of the Dutch EITI-membership has been prepared by a multi-stakeholder group with representatives from the Dutch government, industry and civil society organizations. Tom Kunzler, interim-director of Open State Foundation: ‘Open State wants to make sure that the information about extractives will be made available as open data as complete and re-usable as possible. By doing so, everyone can get insight which enables a well informed public debate.